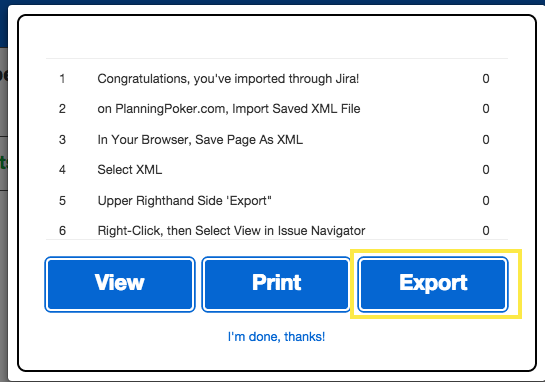 352 Inc. — How does import/export with Jira work? 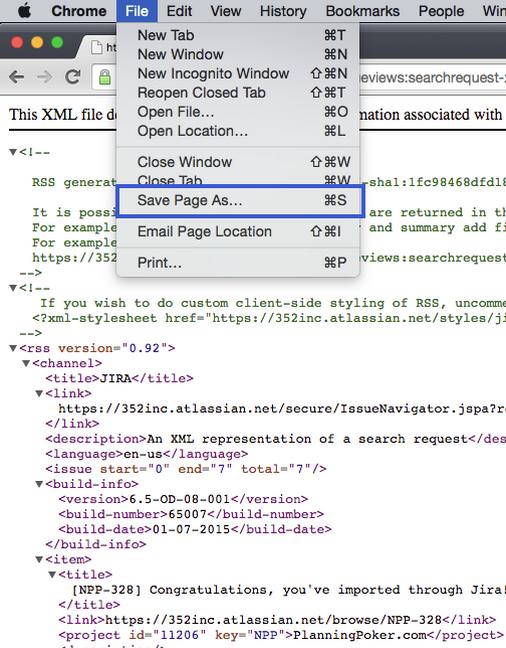 On the upper right-hand side, select “Export” and choose XML in the dropdown. In your browser, go to File → Save Page As. It will download automatically as an XML file. 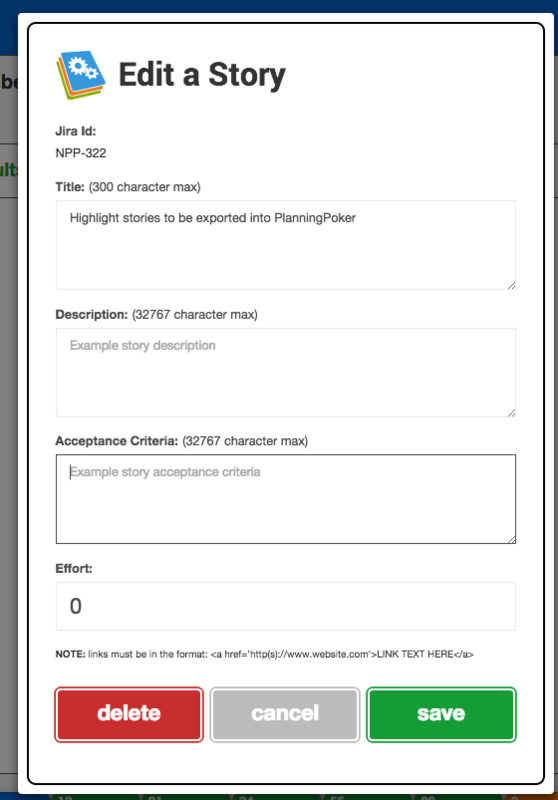 You’re ready to move the stories into PlanningPoker.com. 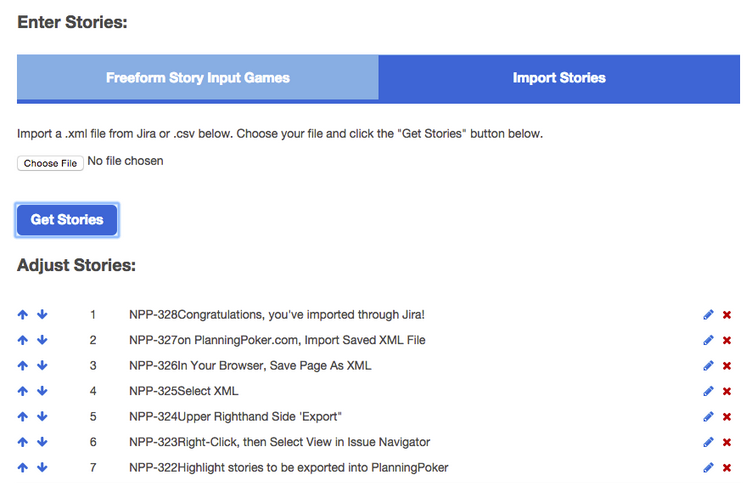 Click the Import Stories tab on the Create Game page. Choose your new XML file to import. Once the file is chosen, click Get Stories. Congratulations! 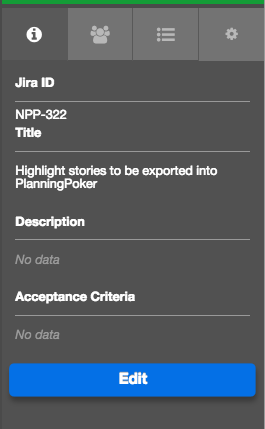 You’ve imported your Jira stories. You can reorder, edit and delete them in this view. You’ll be able to go into the Info tab during a game to edit these fields as well. Click the Export button. This will automatically download a .CSV of your game’s story list to your computer. 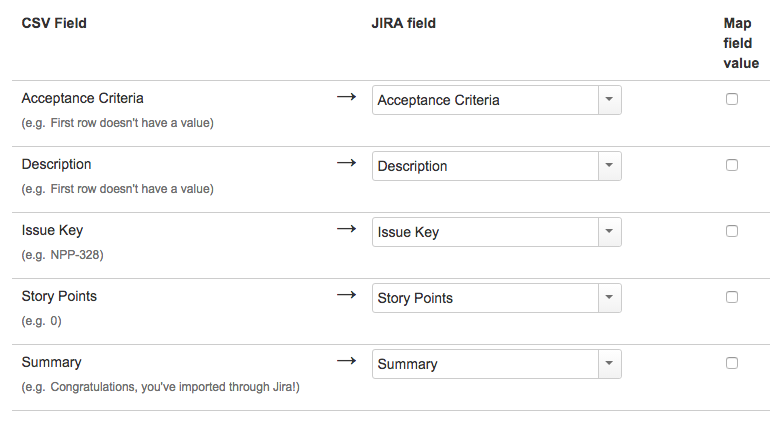 You’re ready to move the stories back into Jira. 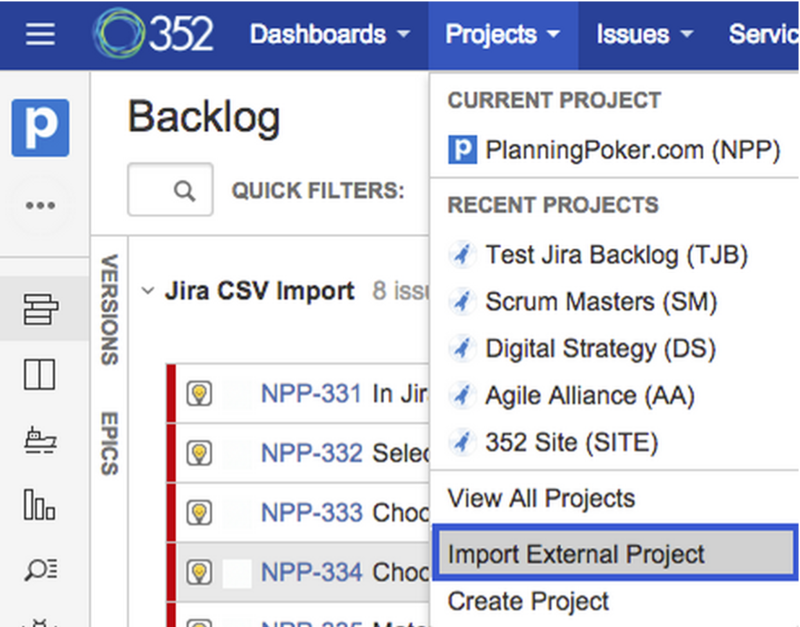 In Jira, Click Projects --> Import External Project. Select Import from Comma-Separated Values (CSV). Choose your new .CSV file downloaded from your game and hit Next. 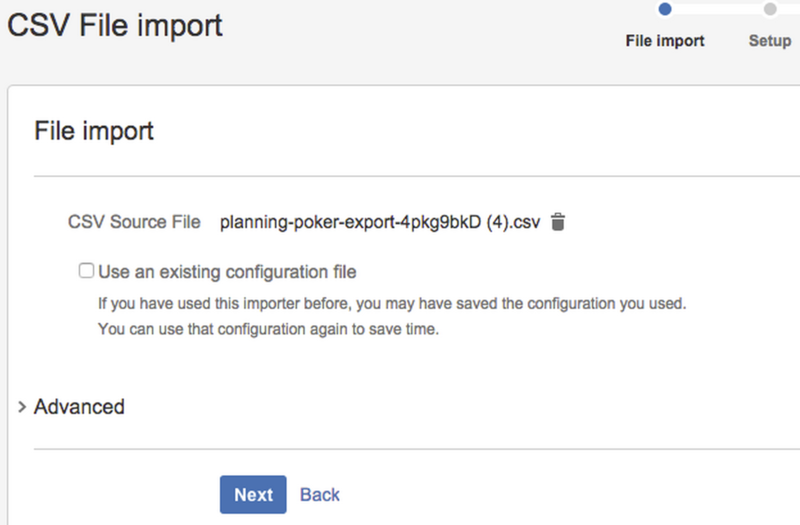 Choose the correct project to import your PlanningPoker stories and hit Next. Match the CSV column titles to the appropriate Jira fields and hit Next. You’re ready. Click Begin Import. Head back into your project to ensure everything mapped correctly.